in their garage at home. John has been riding for 30 years. 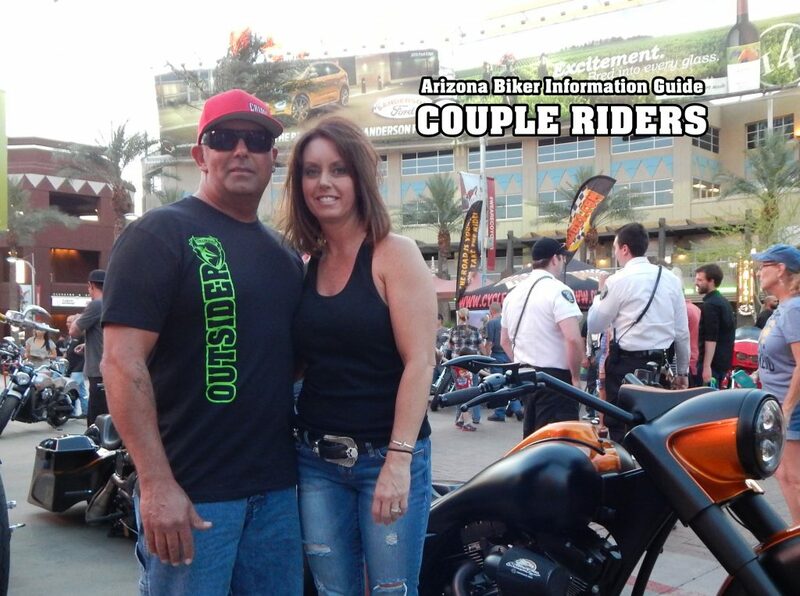 John and Kim both work for Azzkikr Custom Baggers. John is production/shop manager and Kim is the Azzkikr office manager/Len’s personal assistance. They enjoy long rides in the country and the time together.